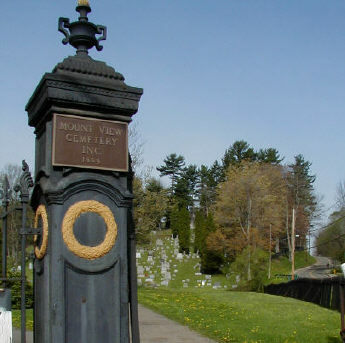 In 1906, the graves in Oak Hill Cemetery were relocated to Mount View so the Oak Hill area could be turned into the park it is today. For the most part, the relocation effort retained only the names of the relocated burials. 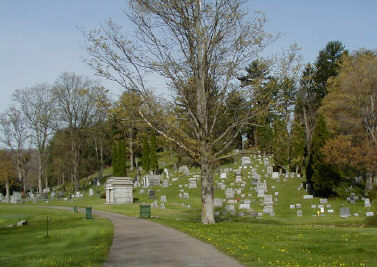 However, the PHGS page for Oak Hill Cemetery contains details for many of the relocations. BEARD, Cynthia A. (Gagliardo). Spouse of Dale H.. Born 3-20-1953, died 12-02-2014. Age: 61 - Dau of Louis and Mona Jean (Lippert) Gagliardo, born in Olean NY, d. FL. BILLINGTON, Mae Belle, died 4-9-1963 - Unmarked grave - Section ? BLAKE, Adoniram, died 1-13-1897 - Unmarked grave - Section E Maz? BLAKE, Anna M, died 4-6-1896 - Unmarked grave - Section E Maz? BOARDMAN Monument Obelisk seems to list all children and spouses of Jehiel and Sarah (Hatch) Boardman with their places of death. It is likely that some are not actually buried here.